Imagine a cozy nest in the city, a place to camp, to refocus, to rest and recharge. 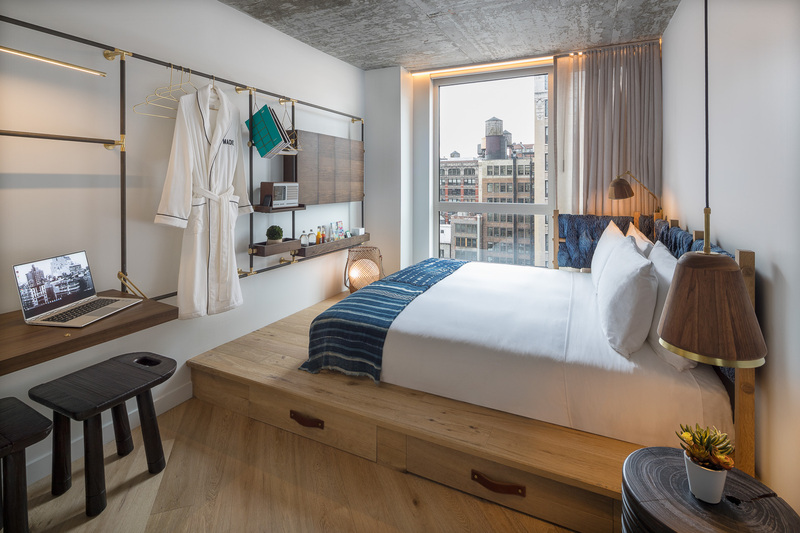 MADE Hotel’s guest rooms are intimate retreats made for rising above the city’s round-the-clock din. Discover privacy, that elusive but oh-so-essential amenity, in a place tricked out will everything you need so you can travel light. 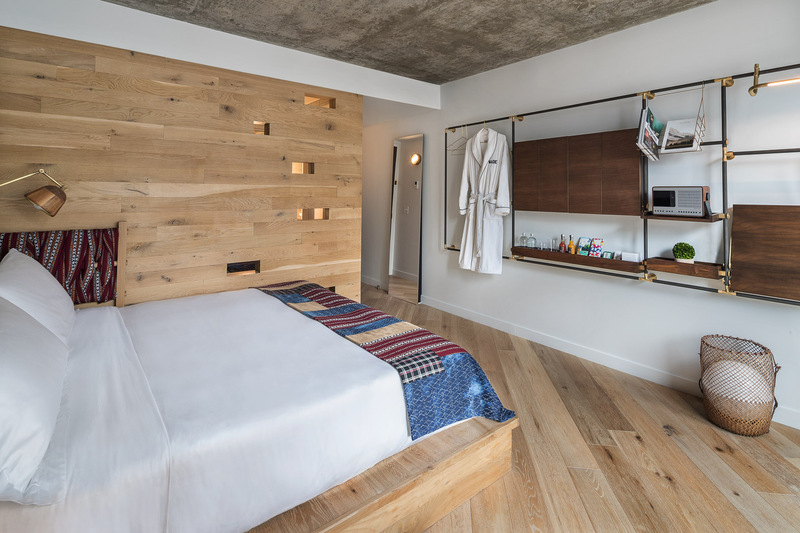 Stay up late, turn in early, alone or together: these rooms were made for you. You must be 18 years or older to check in. Pet Policy: There is a $100 one-time non-refundable Pet fee. Located on floors two through seven, our Standard rooms have king beds topped with Sapira mattresses by Leesa, oversized floor-to-ceiling windows, Samsung flat-screen TVs, and Revo SuperConnect multi-format deluxe table radios - all nestled nicely into cozy, comfortable retreats that take their design cues from Mother Nature. It’s all about the views in our Studio rooms located on floors eight through seventeen. Take ‘em in from floor-to-ceiling windows while kicking back on king bed topped with Sapira mattresses by Leesa. Solid walnut surfaces, a mix of metals, and lots of texture are the definition of new luxury. You and your cozy urban nest - just another match made in heaven. Located on floors four through twelve, our Superior rooms amp up the luxe with king beds topped with Sapira mattresses by Leesa. Take in the views from floor-to-ceiling windows, run your fingers across warm wood and cool tile, savor a spot made just for you. 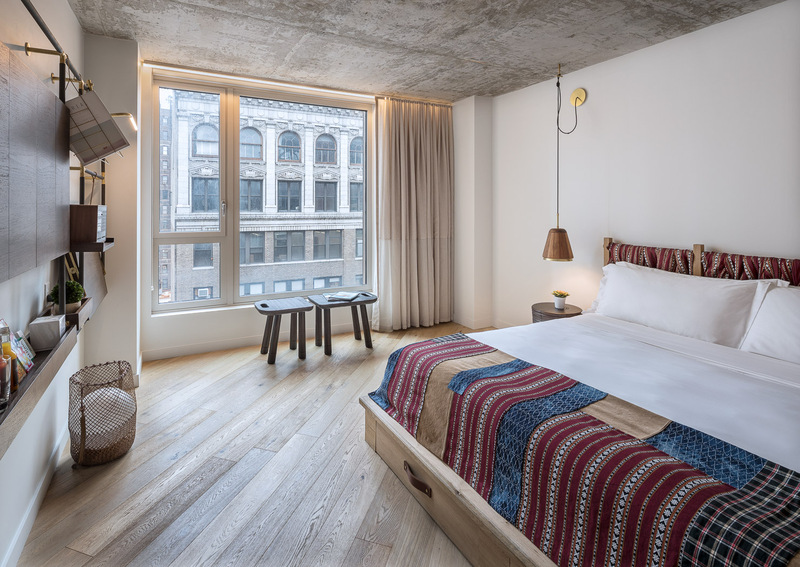 With mesmerizing views of the city from floors thirteen through sixteen, you might miss some Deluxe room design details - starting with king beds topped with Sapira mattresses by Leesa, and hand-carved stone sinks. This is home sweet home, when home has floor-to-ceiling windows with drop-dead NYC views. Located on floors two through sixteen, our Double Double rooms hit on all the right notes with two full beds topped with Sapira mattresses by Leesa, wide plank wood floors, and stylish, strategically placed reading lights when the night calls for one more bedtime story. 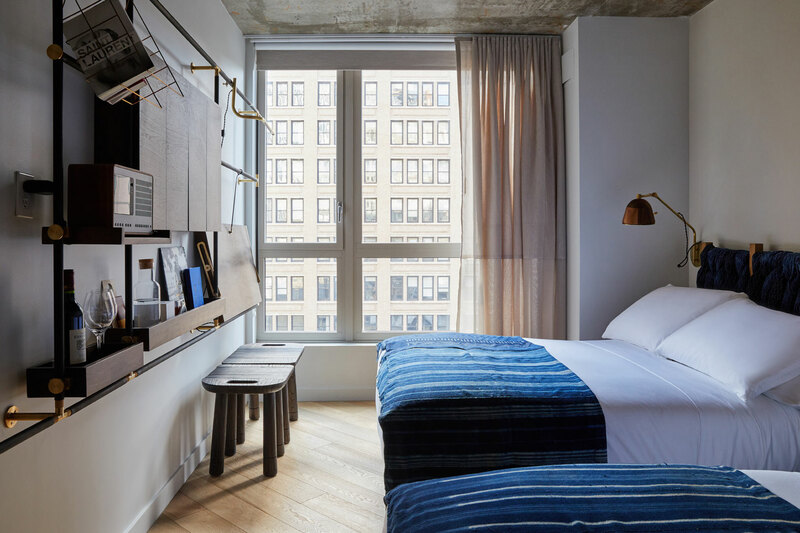 Located on floors two through seven, our Accessible rooms are furnished with queen beds topped with Sapira mattresses by Leesa and all the ADA features for a comfortable stay. Sparkling city views, all-natural materials, and handwoven textiles in shades of indigo add layer after layer of detail. 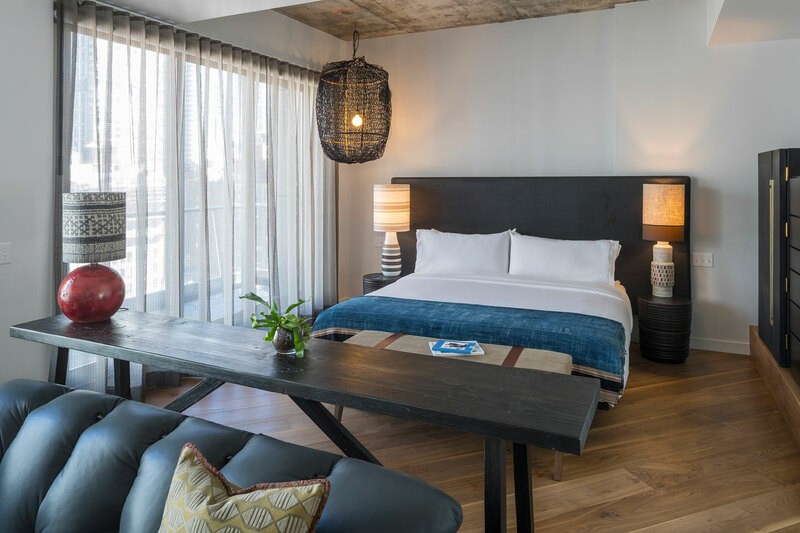 A singular urban retreat with a Juliet balcony facing north, the Balcony Deluxe room is located on the fifth, tenth and twelfth floors and features floor-to-ceiling windows, a king bed topped with a Sapira mattress, and a mix of finishes. Think a hand-carved stone sink and miles of hand-painted wall tiles. 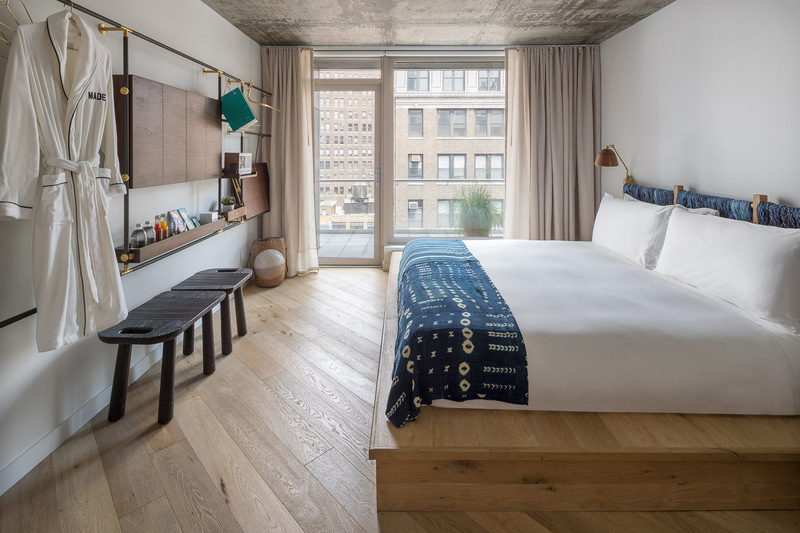 Located on floors ten and twelve, our two Balcony Junior Suites offer a bird’s-eye view of the NoMad neighborhood from Juliet balconies. 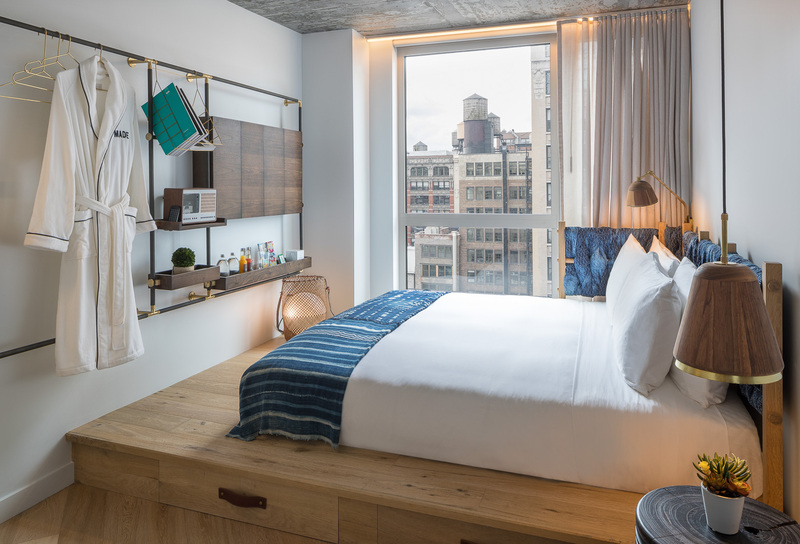 Savor the city breeze, strike a pose before the floor-to-ceiling windows, settle in for a night of uninterrupted sleep on a king bed topped with a Sapira mattress. This is MADE for you. Enjoy a bird’s-eye view of NoMad from your seventeenth floor nest high above the city streets. Strike a pose in the sitting room, take a dip in the deep soaking tub, and settle in for a night of uninterrupted sleep on a king bed topped with a Sapira mattress by Lessa. Creative Suite was MADE for you. 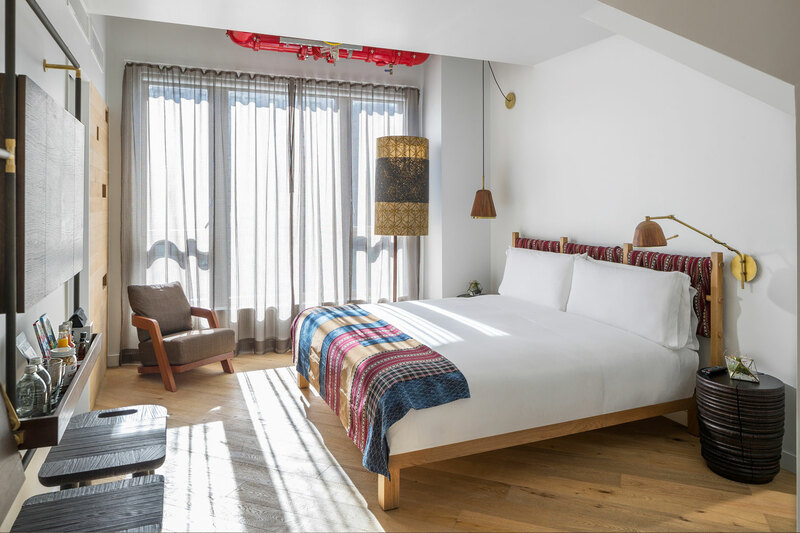 Channel your inner Master of the Universe in our sixteenth floor Master Suite featuring views of the city from a private balcony, sitting area, and king bed topped with a Sapira mattress by Lessa. This room meets ADA compliance standards. Congrats – you’ve mastered the art of pure bliss. 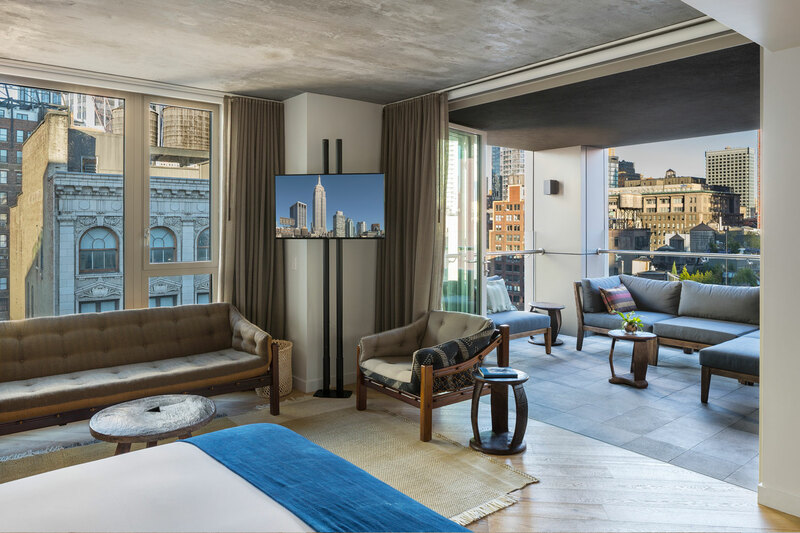 Ease into an Empire State of Mind in our seventeenth floor Empire Suite, an ode to MADE-style excess. 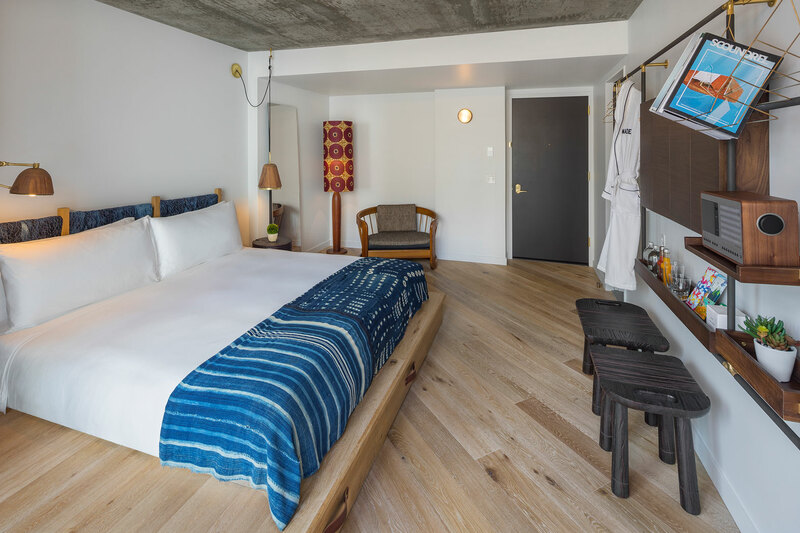 Be awed by drop-dead views of the city, have a cocktail on your balcony, shutdown stress in the soaking tub, then off to your king bed, tricked out with a Sapira mattress by Leesa.